Guide price 500,000 - 550,000. Freeman Forman are delighted to present this stunning chain free two bedroom Victorian semi detached property, located in an enviable and peaceful off road position in the sought after Village Area of Tunbridge Wells. The property has been extensively refurbished throughout, and now offers stylish accommodation arranged over three levels. The ground floor accommodation boasts engineered oak flooring, and the stunning open plan kitchen/dining space has a vaulted ceiling with sky lights. There is a generous size sitting room with doors that lead directly onto the decked outside space, which is ideal for entertaining. Stairs rise to the first floor landing where a large double master bedroom is located with wardrobe space. Also located on the first floor is a large luxurious bathroom with separate shower cubicle. The second floor offers a further large double bedroom with fine views and large built in wardrobe and eaves storage. The property enjoys a new Heatrae Sadia boiler providing heating to conventional radiators, and double glazing throughout. Outside the property enjoys private gardens to the front and back of the property. 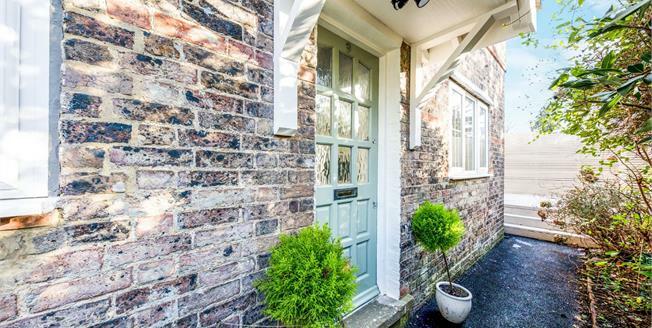 The Town Centre, The Pantiles and The Mainline Railway Station are short walk away. There is non permit street parking in a nearby private road, although this parking is not allocated to the property. An internal viewing comes highly recommended.